With the necessity of fielding armies to wage a two-front war, America needed more manpower than was available. America needed its women in uniform. During the in between-war years, studies were conducted on the use of women in World War I. Recommendations were made for the probable use of women in future wars. The final analysis was, don’t put them in auxiliary organizations. Put them in the military with benefits and protection. At the beginning of World War II in Europe, new planning was uninformed of the earlier recommendations. The conclusion was, yes, women were needed, but under no circumstances should they be given military status. The Women’s Army Auxiliary Corps was formed in May 1942. Because Congress had dragged its feet in passing the bill creating the WAAC, planners missed out on the training site in Maryland they wanted. Instead, they found a recently vacated horse barn in Des Moines, Iowa. The dormitories smelled like horses. When the women finally received uniforms, they got whatever sizes they were given. When the army sought publicity for the new uniforms, all the press wanted to know about was the olive drab underwear. The women’s pay was a rank behind the men’s. Director Oveta Culp Hobby was a colonel with a major’s pay. 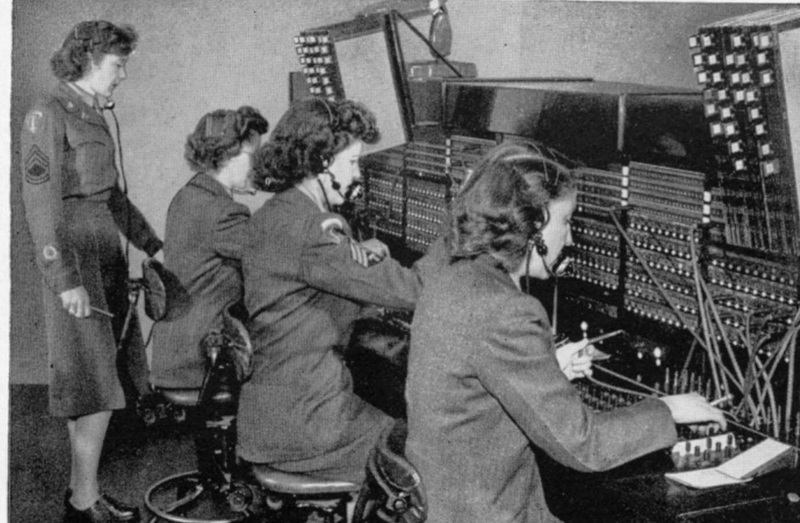 The first class of WAACs at Des Moines served as guinea pigs. The army didn’t know how to feed them. Using a survey of business women, they served the WAACs sandwiches and salads, while men ate steak and stew. Rumors spread. According to one, physicians rejected all virgins. Reporter John O’Donnell wrote in his column Capitol Stuff that the War Department issued prophylactics to all WAACs before they went overseas. These were so the women could fulfill the “morale” purposes for which the army had really recruited them. An FBI investigation thought to uncover German propaganda, but the smear campaign was homegrown. Soldiers who had never come across any WAACs wrote critically about them in letters home. Wives and mothers resented the women who served overseas in close contact with their men. 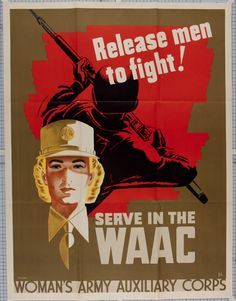 Because the women didn’t have military status, they weren’t able to release men for combat, the primary reason for the WAACs. A military position could only be filled by military personnel. Plus, the women could leave their jobs whenever they wanted. The army had become dependent on the women and wanted control over them. It was time to drop “Auxiliary” from the WAAC and put them into the Regular Army. The new bill went to the president’s desk on July 1, 1943, for his signature. Susan, in Wheresoever They May Be, served in the Women’s Army Corps as a switchboard operator. Men didn’t have a choice about serving. They were drafted. The women volunteered. They worked long hours with little rest. They faced scorn at home and danger overseas. One hundred eighty-one died in army service. Great post, Terri. I know the response of the public and the military is a result of the social and culture mores of the times, but it still takes my breath away when I read about what people said and thought. I'm not sure I'd be as gracious as these women! Husbands threatened divorce if their wives joined. Fathers called their daughters camp followers, which implied prostitutes. Amazing! I'm reading about Susan, who is a WAC, in your new book. I didn't realize that they were used as widely as they were. Very interesting. How Stark is Too Stark?